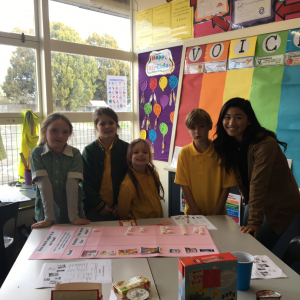 Boronia West Primary School has teamed up with our Health Promotion team to use the Victorian Government’s Achievement Program as a framework to create a healthy environment and promote the health and wellbeing of their whole school community. 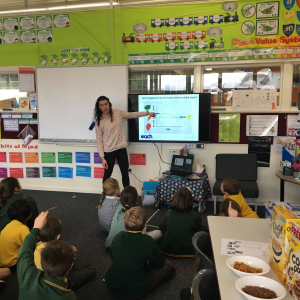 Grade 2 and 3 students received a presentation from EACH Health Promotion Officer, Belinda Vaughan on sugar in foods/drinks and the effects it can have on our body. 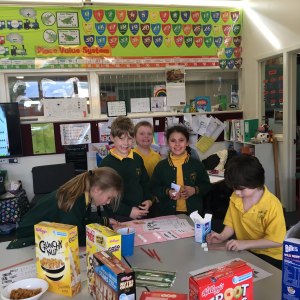 The class was divided into four groups where they were faced with different ‘sugar stations’ which consisted of a range of breakfast cereals, snacks and drinks. The students were given worksheets to guess how many spoonfuls of sugar is in each item, before revealing the true amount. 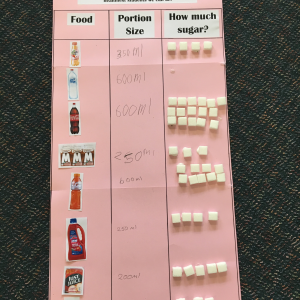 Once these worksheets were completed, students were able to showcase their findings to the whole class by constructing sugar information posters. Students were then able to reflect on their own sugar intake and discussed practical changes they could make. “The students really enjoyed the sugar session and took a lot away from it. It was engaging with first the PowerPoint presentation and it gave a good overall view of what sugar can do to your body. You could see students looking at the photos and thinking about how sugar is produced and what negative impacts it can have on their bodies. They loved the hands on activity. Creating a poster with real sugar cubes was a great finishing off activity and it has been a great reminder to the students about making healthier eating choices in their lives. A great session that all kids really should take part in. 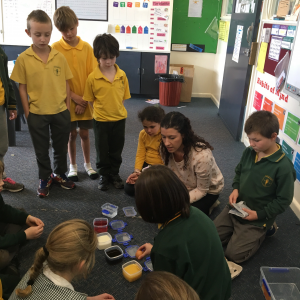 Thank you Belinda,” said Claire, Grade 2/3 Teacher at Boronia West Primary School. The posters will be displayed in the school corridor for parents and other students to view. The EACH Health Promotion team are planning a follow-up session to provide more information on what alternative snacks students can eat that are just as delicious and a whole lot healthier! For more information on this initiative, please contact Belinda Vaughan, Health Promotion Officer on 9757 6236.